Thursdays, 4:45-5:45 pm from April 4th to May 9th. 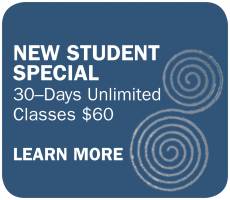 Before April 15th, enroll your teen and receive 10% off a 10-Class Pass for an adult. Whether your teen is facing exam stress or preparing for team sports, this class will help both physically and mentally. Designed specifically for the young teen body and mind, this 6 week course will introduce your 11-15 year old to yoga poses and breathing exercises to help them combat stress and boost focus. No yoga experience necessary. Content copyright 2013. Rolling Brook Yoga LLC. All rights reserved.